I'm currently trying to get the hang of doing surfaces in Creo2. I think it's going pretty well, but I want to make sure that I'm doing it the best possible way. I have made created the surface pictured below and would be happy if you could open the attached creo file and review my model tree and the way I have modelled the surface. Would you have done it in another way? I hope I can teach a thing or two if I haven't done it quite the best way. I'd say you did your homework quite well! So three-sided boundaries are best to avoid in general? I have tried to make the three-sided boundary I had, four-sided. I'm trying to work this feature as a practice session. This really is a bear to deal with and is probably the most crucial feature in the design. Its the little things that usually are. But I will add how ID guys hate true arcs preferring C2 Continuous rounds. I can see this best treated as a sweep using a spline. Determine the origin string at the bottom of the troff and using the curves on the surface as guide strings (divide the circle into 2 for 2 separate strings). I'm glad I don't need to do much surfacing with core Creo. hey why so "mean" opinion? I heard you guys like practicing surfaces. 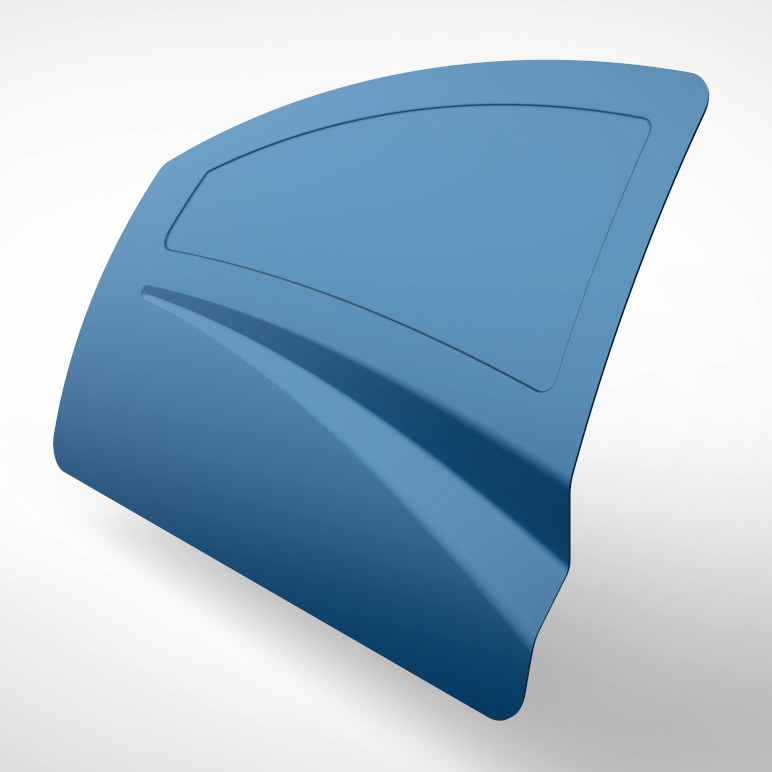 You can easily judge the quality of a surface with help the "Shaded Curvature tool"! p.s ISDX in Creo 2.0 gives user much more control over N-sided patches than it was possible before.